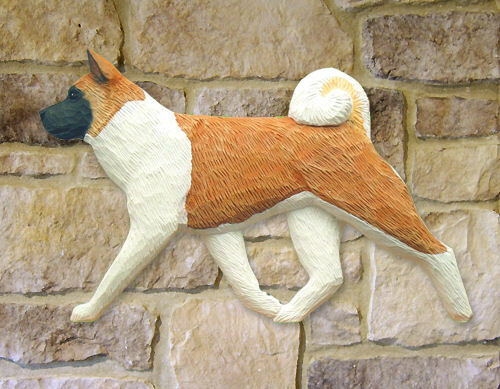 Dog Wall Art - this custom wooden hand carved Akita Wall Art is a superb work of art. It is available in two different sizes: 20" or 30". There is a slight variation on the height dimension as it will depend upon the breed. Made in the USA. Delivery Time:Please allow 6 weeks for delivery.